Today, Wednesday, 5th October, is a day that goes down in history for any Bond fan. We celebrate Global James Bond Day – a celebration of 54 years of the Bond franchise, marking the anniversary of the release of 'Dr. No' in 1962. This year we focus on Bond’s dress sense through the ages, opening the doors of his wardrobe which showcase some of the most iconic brands in cinematic fashion history. Some are part of historical archives and others have survived the test of time, but all are considered legendary. In the beginning, there was Anthony Sinclair, the now legendary tailor who crafted the suits for Sean Connery in the first Bond movies including 'Dr. No', 'From Russia With Love', and 'Goldfinger'. Then an unknown actor who had yet to embrace his inner suave, director Terence Young enlisted his own tailor Anthony Sinclair to take Connery under his wing. Not a natural suit-wearer, Connery was instructed to wear his suits day in and day out, even sleep in them, to feel comfortable and wear them with confidence on screen. Connery was so enraptured with Sinclair’s work he continued to work with him for his own tailoring separate of Bond. The iconic suit made famous by Connery was the Conduit suit, still available to purchase today. 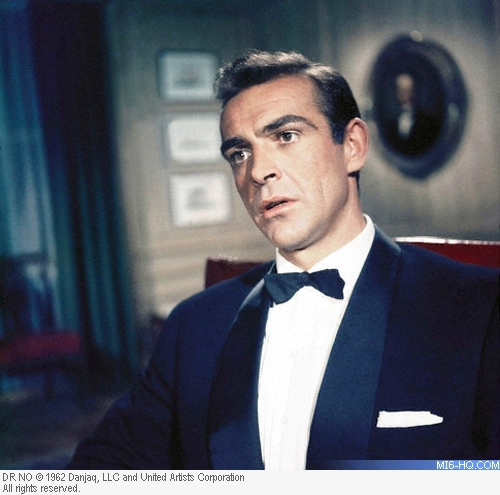 Expertly paired with the famous tailoring was Turnbull & Asser, who also began to dress Bond in Dr. No. The famous James Bond Cuff was introduced, a turnback cuff style fastened with buttons instead of traditional cufflinks. Turnball would echo throughout the Bond franchise, dressing Pierce Brosnan and Daniel Craig in later years. 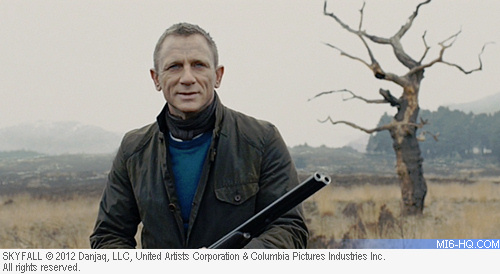 In 2012, 'Skyfall' introduced N. Peal as a staple in Bond’s wardrobe, where the Round Neck cashmere sweater in colour Blue Wave, was worn by Bond in the final action sequences. The scene had a blue theme to it and the team were in search of a particular shade to pick up Craig’s eyes. The choice was so successful the team returned in 2015 to have a series of jumpers developed especially for the film, settling on a superfine cashmere mock turtleneck and a cable roll neck. “It’s the association that works well for us, we’re a heritage brand that lives in the contemporary, and to help provide cashmere to an iconic figure of style such as Bond is unbelievable. We are very honoured.” N. Peal MD and owner Adam Holdsworth explains. Just down the Burlington Arcade is one of Britain’s most distinctive shoe shops, Crockett and Jones. Opened with a business owners’ grant by brothers-in-law Charles Jones and James Crockett, the Northampton shoe brand epitomises traditional craft and unique innovation in shoemaking. Bond chooses Crockett and Jones for durability and unique British style, featured in Skyfall and 'SPECTRE'. Known for their reliability as well as sleek look, Crockett and Jones boots, particularly the Tetbury chukka boot in sleek, black nubuck leather worn in Spectre, will surely stand up against jumping between train carriages and scaling the walls of various buildings. Every spy must travel in style. 007’s missions take him around the globe and there is no excuse for ineffective, generic looking luggage that transports his signature gadgetry. Globe Trotter has been Bond’s go-to luggage brand since Skyfall, featuring a range of suitcases, suit carriers and even a rifle case, inspired by Globe Trotters first designs dating back to 1897. With a limited edition released to commemorate Skyfall and Spectre, civilians today can travel just like Bond.